We haven't made any mini-muffins in awhile at our house, so today was the day. Some friends were coming over for a playdate this morning, so I thought I'd try and make something a little bit healthier. ** I reduced the oil in another recipe I regularly use since I was hoping the zucchini would add extra moisture. In the future, I think I will try subbing apple-sauce for the oil as I think that would work great in a recipe like this one. **So much for healthy.... 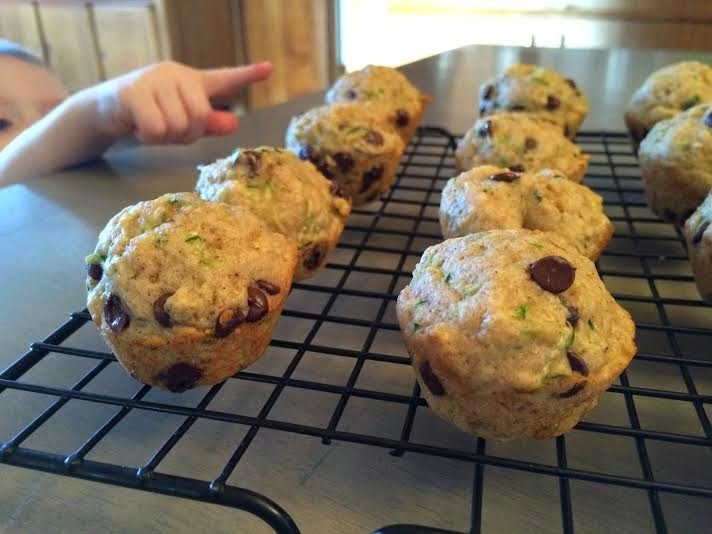 I added mini chocolate chips in the end in the hopes that would make the zucchini component less yucky to my daughter. Fail. 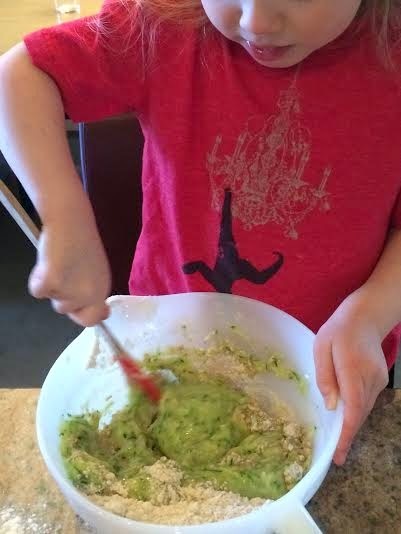 My son was fooled, but my daughter still claims that the "green stuff" in there is "not good". You win some, you lose some. Mix all dry ingredients together in a bowl. In another small bowl, measure the zucchini, egg, canola oil, milk and vanilla. Fold into dry ingredients, along with chocolate chips. Bake in a preheated 375 degree oven for 10 minutes in greased mini muffin tins. This yielded 24 mini muffins.